A-FIRST Alternative Water Supply Project | Wharton Smith, Inc. The Altamonte-FDOT Integrated Reuse and Stormwater Treatment (A-FIRST) project is an innovative stormwater management initiative aimed at mitigating stormwater retention concerns for the I-4 Ultimate Improvement Project, address regional water supply needs, and provide water quality improvements within the Wekiva River Basin. 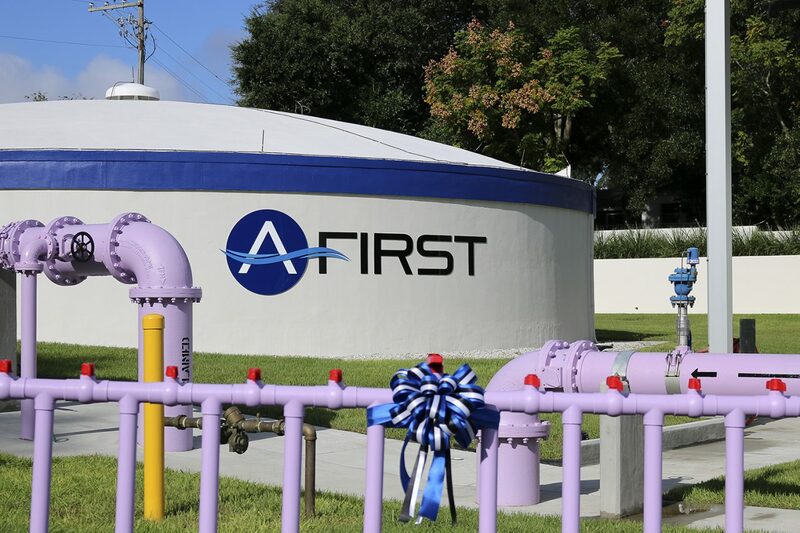 The A-FIRST system captures and treats stormwater runoff from Interstate 4, which is then used for irrigation for the City of Altamonte Springs, and the neighboring City of Apopka. 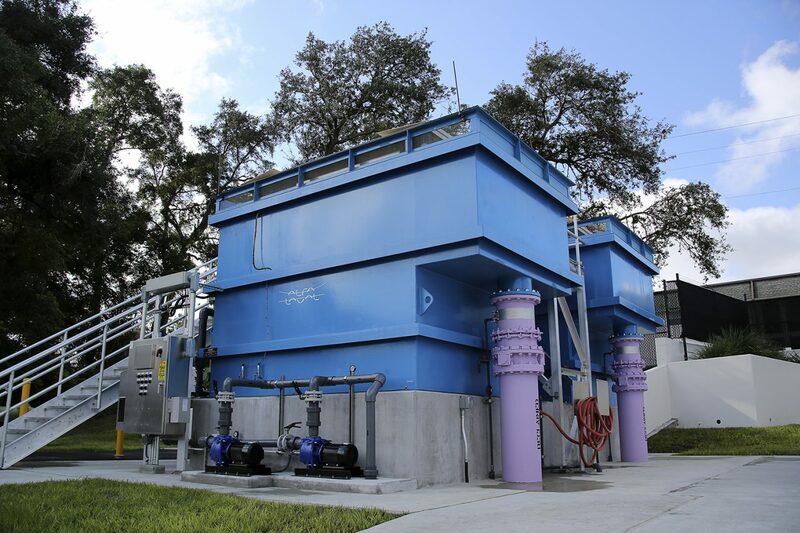 The project prevents up to 1.5 million gallons a day (mgd) of stormwater and 3 mgd of highly treated excess reclaimed water from reaching the Little Wekiva River while also providing up to 4.5 mgd of reclaimed water to the nearby city of Apopka. 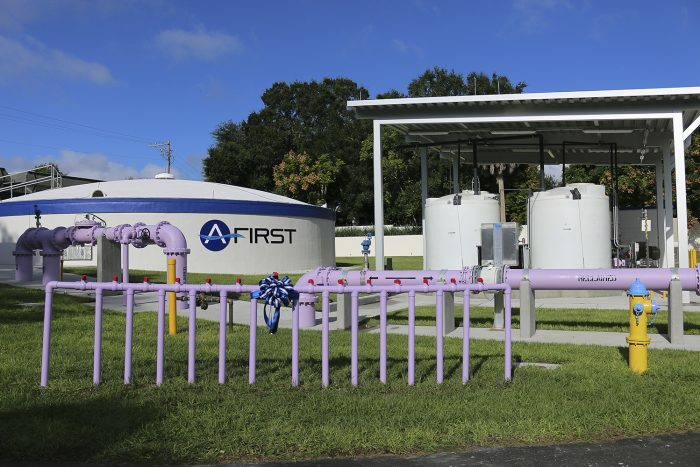 It is the first time that runoff from a major highway in Florida has been collected and repurposed in this way and the first project of its kind to be implemented in the United States. 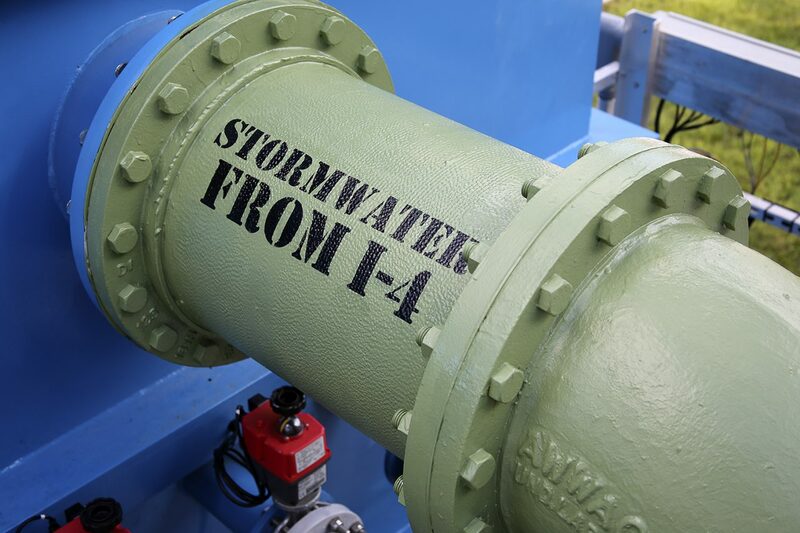 Its operation will become even more important with the widening of I-4, a project that will increase runoff and would normally require FDOT to build and maintain a large water retention pond to hold and treat stormwater, which is no longer needed because of A-FIRST. Wharton-Smith managed the project’s construction, including several infrastructure projects to make the A-FIRST plan a reality. Early work consisted of building of a new stormwater treatment facility, along with major modifications to the stormwater pump station, construction of a flow control assembly for automated control of the discharge rate to the Little Wekiva River, construction of approximately 1,550 feet of 16-inch and 20-inch stormwater forcemain, and connection of the Reuse Augmentation Facility (RAF) to the city’s reclaimed water distribution system. 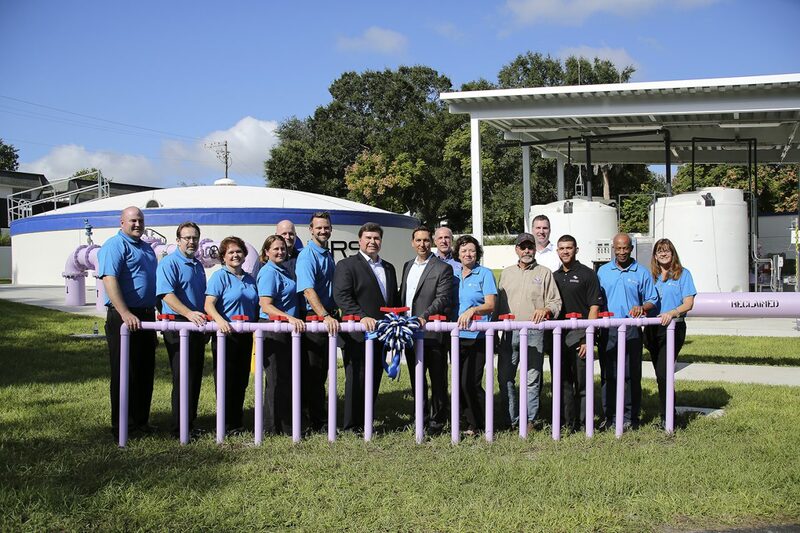 The project is the result of a collaborative partnership among the City of Altamonte Springs, the Florida Department of Transportation (FDOT), the Florida Department of Environmental Protection (FDEP), and the St. Johns River Water Management District.